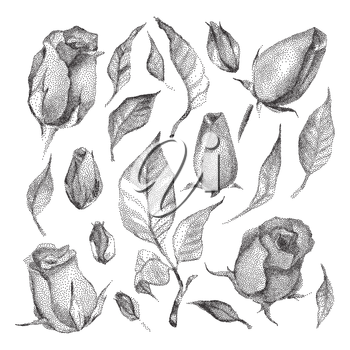 Roses Botanical set. Black and white Dotwork Flowers. Vintage engraved illustration style.